Home to tons of fresh and saltwater anglers, fishing in Fort Lauderdale is one of the top spots in Florida for some great deep sea sport fishing! 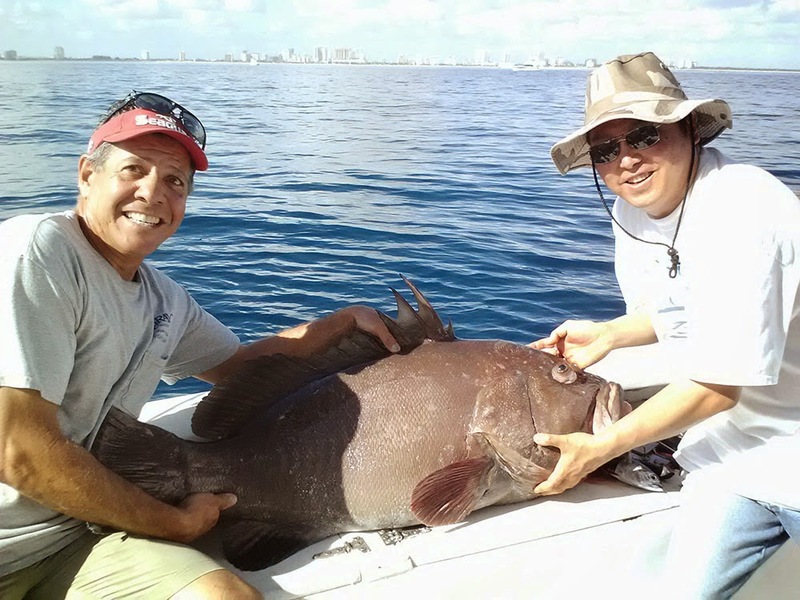 Captain Mike from Fort Lauderdale Sport Fishing has been fishing the coastline of South Florida for over 40 years and his fishing charters have brought in some of the biggest fish ever to land on the docks of Fort Lauderdale. Captain Mike has a vast knowledge of the fishing here and is dedicated to providing a fun, memorable, and exciting experience for you and your party. Captain Mike runs a custom 41’ Hatteras Sport Fish “The Reel Legend” that’s fully equipped with a full tuna tower, twin diesel power, state of the art fish finder GPS and VHF radio. This charter fishing vessel is tournament proven and fully equipped with top of the line tackle to ensure a successful day on the water. The Reel Legend has a spacious cockpit and fighting chair for your Fort Lauderdale deep sea fishing trip. Mike’s charter fishing boat has seating area for 6 people and all the latest coast guard approved safety equipment. Clean restroom with running water, hand soap and towels and a hot shower too. 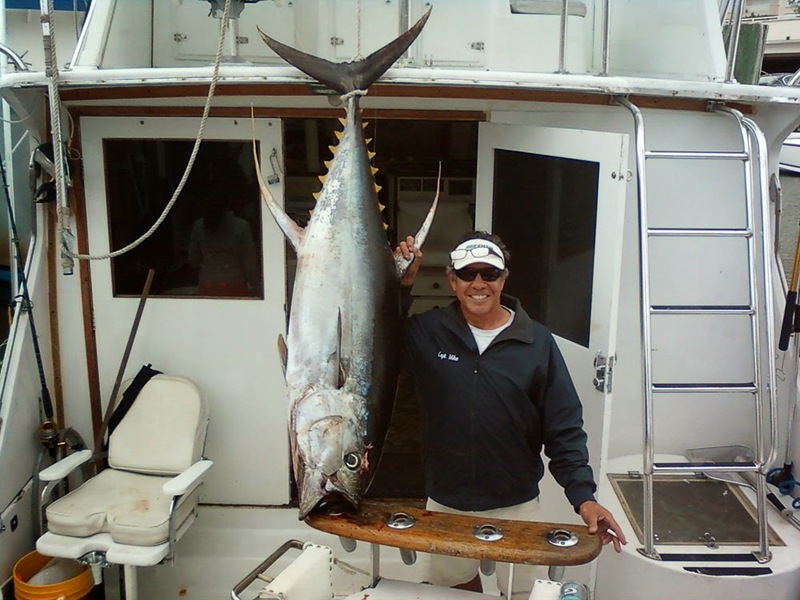 Captain Mike knows the area and is a local to the docks of Miami all the way to West Palm Beach. We're conveniently located on Fort Lauderdale Beach at the Prestigious Bahia Mar Marina located at 801 Sea Breeze Blvd, Fort Lauderdale, FL Dock A Slip 119. Only minutes from Fort Lauderdale beach and Fort Lauderdale / Hollywood International Airport. We are only a short drive from Miami, Aventura, Hollywood beach, Pompano Beach, Deerfield Beach and West Palm Beach. We will custom tailor your Fort Lauderdale fishing trip to provide the type of fishing that you desire. Whether it's kite-fishing for sailfish, mahi-mahi, tuna and all other game fish or deep dropping live baits for huge grouper, amber jacks and snappers. Also trolling that awesome spread offshore for big dolphin, wahoo, tuna or that possible blue marlin. Whatever it is, we have you covered! Tell us what you would like to fish for or let us at Lauderdale Sport Fishing suggest something for you. 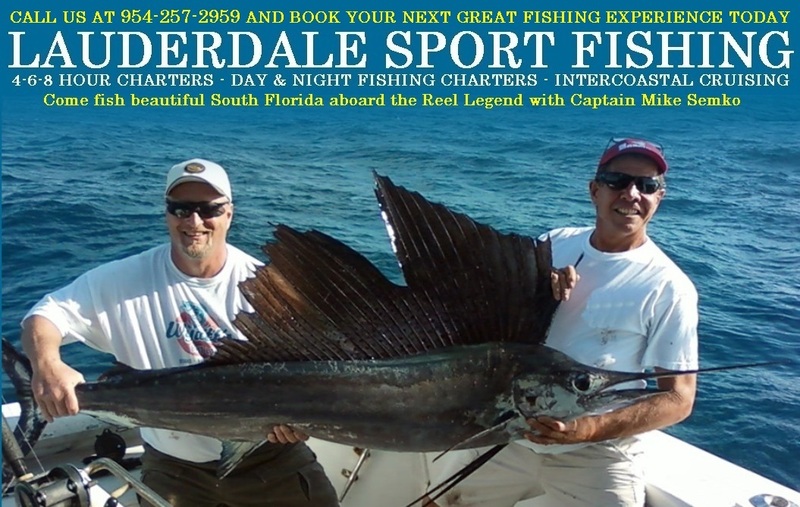 Fort Lauderdale Fishing aboard the Legend is the ULTIMATE sport fishing adventure!